One cold winter day in 1984, on the far edge of the Tibetan plateau that gives way to the lowland of Mainland China, a Tibetan composer sat by a piano in his office. The audience that day was composed of three Tibetan women in their early twenties, who were his co-workers. As he played his newest composition, the young Tibetan women fell silent and tears rolled down their cheeks. Such was the power of the song that in the late 1980s and 1990s, it is said to have attained an anthem-like status in the Tibetan world. Tsering Shakya calls it the “unofficial anthem” (as cited in Stirr, 2008, p.305), and the Tibet Information Network report named it as “the most famous Tibetan nationalist song” (TIN 2004, p.149). The song was first performed at and relayed by Qinghai Radio station in Xining, and became a runaway hit. It is called Mtsho sngon-po or Blue Lake, named after the beautiful Kokonor Lake located in the traditional Tibetan province of Amdo. Historically, Kokonor Lake has a special significance as an important marker of Tibetan geography and is, along with Mount Kailash, depicted in many paintings as a symbol of Tibetan territoriality (Stirr, 2008). The song’s lyrics were composed by none other than Dhondup Gyal, who is often lauded as the father of modern Tibetan literature, and was put into music by Chopathar, a graduate of Shanghai Music School. The original recording at the Xining radio station was by Dorje Tseten, an accomplished artist of the region. Like many creative art works, this song was conceived during a drinking session. One evening in early 1984, Chopathar, Dhondup Gyal and some other friends were having a get-together. In the midst of cigarettes, drinks, and small talk, Chopathar had a sudden thought. He asked Dhondup Gyal to compose a lyric on the Blue Lake. Dhondup Gyal said nothing, thought for a while and then demanded a pen and paper, and scribbled a full-length lyric. For Dhondup Gyal, whose path-breaking compositions created a new wave of literary fervor, it was an easy job and he completed the composition in just an hour. However, it was more arduous for Chopathar to compose the music, taking him about a year. Chopathar likened making music to composing a literary piece, getting better and better with each successive revision. He had played the draft composition to farmers, nomads, lamas, teachers and students, and carefully wove their critical comments into each new revision. Music in Tibet in the early 1980s was heavily controlled by the state for propaganda purposes, and was just beginning to emerge as a space for individual expression. Thus it can be said that he was pioneering a new move to produce modern Tibetan music that is aesthetically pleasing to Tibetan sensibilities and a lyric that speaks to their collective consciousness. Therefore, hitting the right note was extremely important for him. When the Blue Lake was gripped by ice/The golden-eyed fish was trapped inside the lake. The lyrics are at best ambiguous and are open to a number of interpretations. However, self-censorship and ambiguity play an important part in a society that lives under a dictatorial regime. In the article “China: The Anaconda in the Chandelier”, Sinologist Perry Link (2002) argues that the current Chinese Communist political system is quintessentially a “psychological control system that relies primarily on self-censorship. Questions of risk – how far to go, how explicit to be, with whom to ally, and so on – are to be judged by each writer and editor… To be safe, a person must pull back in every respect, and moreover must become his or her own policeman”. What could be said with a fair amount of certainty is that the song is very uplifting and it continues to inspire nationalistic sentiment among Tibetans. Even for generations of Tibetans born in exile, the song gives an immense sense of pride. I remember singing Blue Lake during inter-house cultural competitions when I was in TCV School with much pride. 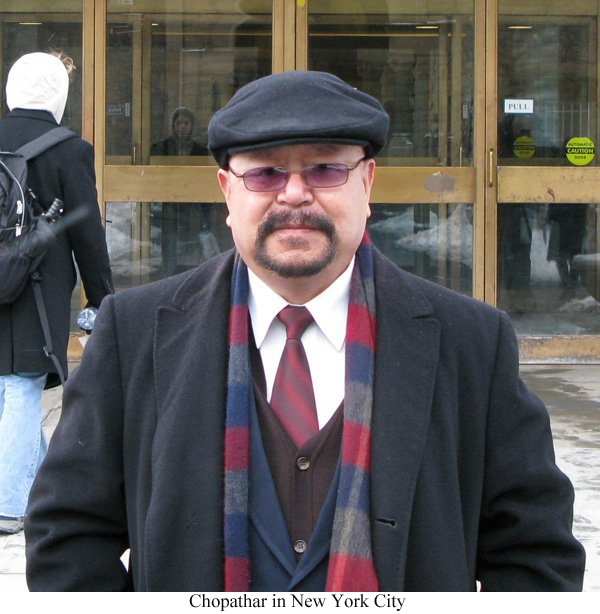 Chopathar claims that there are now about twenty renditions or editions of the song, performed by artists of international caliber such as Dadon and others. Dechen Wangmo produced the first music video of the song in both Tibetan and Chinese language. Even decades after its initial release, the song continues to reappear in the Tibetan music landscape. Perhaps one of the most recent renditions is sung by the popular artist Kunga Phuntsok in 2011. More than two decades later, another song from the same region would rise to a similar height, but in a very different political climate. 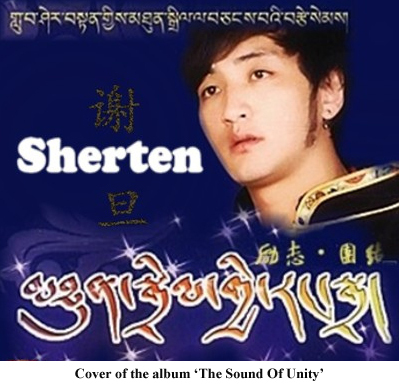 It is called Mthun-sgril gyi rang-sgra orThe Sound of Unity and was sung by an emerging Amdo artist called Sherten. Blue Lake had appeared at a time when the political situation was getting a little better after the tumultuous Cultural Revolution. However, The Sound of Unity emerged in 2010, when the state was clamping down hard on Tibetans following 2008 protests and new rules were in place requiring even lyrics to be approved by the party (Barnett, 2009). This time dissemination was swift and far-reaching due to technology and social media. In the last couple of years, it has gained immense popularity among Tibetans both inside and outside Tibet, and different artists can be seen performing the song or remaking it in their own fashion. The song received further attention when it was performed live by Sherten, Tsewang Lhamo, Choegyal and Tsekyi in Kham. A new version also emerged with slightly different lyrics sung by another band of young artists comprising of Tenzin, Kelsang Yonten and Choegon in Tibet. During the Tibetan Language Concert held on December 10, 2011, in Columbia University’s Miller Theater, the famous artists Tsewang Lhamo, Kyidjam, Pemsi and the audience sang The Sound of Unity in unison. Perhaps this was the first occasion that artists from both inside and outside Tibet could perform this song together on one stage. Taglha Gyal wrote the lyrics, and Dubey, a famous Amdo artist of a genre called dunglen whose songs are known to carry political meanings, composed The Sound of Unity. Their message was loud and clear, as Sherten himself put forth in the beginning of the video: “If we care about the well-being and the future of our nationality who are in despair, people of Amdo, U-Tsang, and Kham hold hands together in harmony, unite as one”. The video features people from the three provinces calling for unity in their own dialects adorned with traditional regalia. It even has a group of U-Tsang people dressed in traditional aristocratic attire, which by the CCP’s standard could be construed as a disreputable relic of feudal Tibet. It can be argued that the lyrics are more candid, compared to Blue Lake. Though it avoids mentioning any names, the song makes it clear that there is a common adversary for the Tibetan people, who is responsible for the “sadness in father’s face” and “tears in mother’s heart”. Moreover, it is interesting to note that the song promotes the notion of Tibet as having been comprised of the “three provinces” which is coterminous with the Tibetan Plateau, in contention with the official division of Tibet into Xizang (TAR) and other Tibetan areas incorporated into Qinghai, Sichuan, Gansu, and Yunnan. If we deconstruct the lyrics, the song calls for unity among Tibetans living in the three provinces, across gender and age, citing parental grief, future, and freedom of Tibet as the reasons for becoming united. It extols the common ancestry and heritage of the Tibetan people, and described them as its future inheritors. Interestingly in the view of the Tibetan problem as essentially a question of governance, both songs proclaimed Tibetan people as the ‘owners’ (bdag-po) of Tibet. Music is fundamentally a social activity (Blaukopf, 1992). It is a socially symbolic act constituted and performed within a specific historicity. Highlighting the social conditioning of individual expression, Adorno asserts that “all music, even the stylistically most individualistic, takes on a collective content: every single sound speaks in the plural” (cited in Blaukopf, 1992, p. 45). Thus it can be argued that the saga of the two songs represent Tibetan people’s struggle for identity and rights. Both songs evoke strong feelings, echoing a deep sense of collective loss while challenging the dominant and official narrative of happy, dancing and often-eroticized minority others (Gladney, 1994). It is also interesting to note that the two songs emerged from the far-flung northeastern corner of the Tibetan plateau, thousands of miles away from Lhasa, the hub of Tibetan civilization and the theatre of political activities. The growth of modern Tibetan pop music has been phenomenal in recent times. Although state restriction has certainly limited the range of subject matters that an artist can explicitly touch upon, it hasn’t rid the artists and listeners of their individual agency. In the context of Tibetan music, Morcom (2008) postulates that there is an existence of “remarkable kind of ‘public sphere’ in a region famous outside China for repression rather than expression” (p. 262). By looking at the current trend, Tibetan artists seem to be engaged in an act of pushing the boundary, and the state has so far chosen to ignore these implicitly oppositional and political songs. However, those who have crossed the limit with overtly political songs are punished with arrest and imprisonment such as the cases of artists like Tashi Dhondup, Ugyen Tenzin, Chogsel, Achok Phuljhung, etc (BBC, 2010, Tsering 2012, Yangchen 2012, Phayul, 2012). Are Tibetan artists engaged in an act of expressing clarity in ambiguity, hoping to convey a clear political message with ambiguous lyrics? Under current circumstances, with a dearth of relevant sources and little scope for conducting meaningful research, it is perhaps impossible to establish the intention of the artist. Thus any attempt to reify them from the outside is problematic. It would be better to conclude by drawing a thin line of distinction between expressing emotions and being political. For example Tibetan artist Dadon claims: “…I had no idea that what I was doing was political. I was just doing things spontaneously…if you want to move other people, you have to sing from your heart…I say things as I feel, like any regular Tibetan” (Henrion-Dourcy 2005, p. 241). In many cases, the line between emotion and political opinion may be invisible. Barnett, R. (2009). Television drama series in Tibet. InV. Donati (Eds), Tibetan Cinema: Discovering a new political and cultural language (51-70). Naples:ASIA Onlus. Blaukopf, K. (1992). Musical life in a changing society: Aspects of music sociology. Portland: Amadeus Press. Gladney, D. (1994). Representing nationality in China: Refiguring majority/minority identities. Journal of Asian Studies, 53(1), 92-123. Henrion-Dourcy, I. (2005). Women in the performing arts: Portraits of six contemporary singers. In J. Gyatso & H. Havnevik (Eds), Women in Tibet: Past and present (195-258). New Delhi: Foundation Books. Morcom, A. (2008). Getting heard in Tibet: Music, media and markets. Consumption Markets and Culture, 11(4), 259-285. Stirr, A. (2008). Blue Lake: Tibetan popular music, place and fantasies of the nation. In R. Barnett & R. Schwartz (Eds), Tibetan modernities: Notes from the field on cultural and social change (305-332). Leiden & Boston: Brill. Tibet Information Network. (2004). Unity and discord: Music and politics in contemporary Tibet. London: TIN. Most of the information pertaining to the song Blue Lake has been culled from a wealth of information collected during several rounds of interview with Chopathar in 2011 at Columbia University, New York.